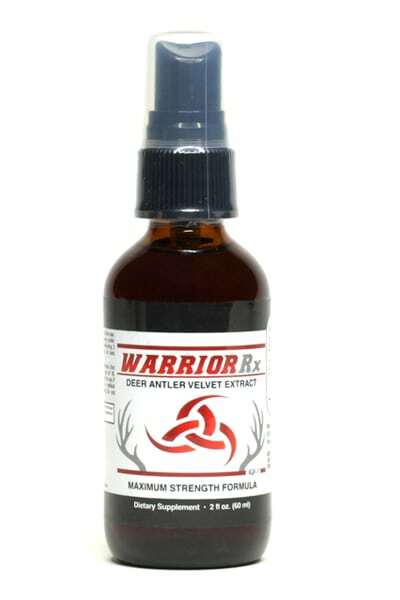 WarriorRx Deer Antler Velvet Extract is an oral spray supplement to help you achieve your performance goals and help break through your fitness plateaus. Deer Antler Velvet contains IGF-1 (insulin-like growth factor) which is a hormone produced by the liver and it plays a key role in childhood growth. This continues to have an anabolic effect in adults, which essentially means continued cellular growth and regeneration. Our natural human growth hormone (or HGH) is produced by the pituitary gland and released into the blood stream which stimulate the liver to produce IGF-1. As we age, our levels of growth hormone and IGF-1 decreases and we lose vitality, energy and youthfulness. Supplementing with IGF-1 is an option to help restore energy, vitality and slow down the aging process. Also includes Purified Water, Vegetable Glycerin USP, Natural Flavoring, Citric Acid, Stevia Leaf Extract, Potassium Sorbate, Potassium Benzoate. SUGGESTED USE: (Adult) Shake well before use. As a dietary supplement, take 5 prays under tongue, hold for 20 seconds before swallowing. 2 times per day, morning and evening for best results. CAUTION: Do not use if outer seal is broken. Not intended for individuals under the age of 18. Consult your health care provider prior to use if you are pregnant or nursing, have a medical condition, or when taking any medication. Do not exceed suggested usage. Never run out of your favorite WarriorRx products! With our auto replenishment service, you'll enjoy the convenience of having your products delivered directly to your door at a time that suits you best. When you place your order in the WarriorRx or on Amazon.com, you can select the auto replenish options.